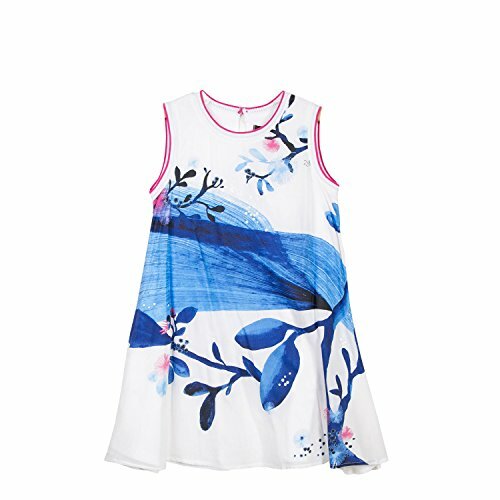 Oversize panel print like a painting, immersing this sleeveless dress for girls in an imaginary aquatic world. Shiny white and pink rib stitch at neck and arm openings adds a sporty-chic detail. Keyhole back with button on neckline. Print on front. Voile lining.